20 Dec 2017 --- Comax Flavors has released new primary research on consumers’ behavior, usage and attitudes towards Nutrition & Performance products, which focused on Protein Powder, Ready-To-Drink (RTD) Protein Drinks and Protein Bars. Key findings included a strong focus on “Taste” as the number one driver of nutrition & performance purchases among all generations, and “Plant Protein” as one of the top five “active ingredients” respondents look for in nutrition & performance products. This is the fourth study of the company’s primary market research program. 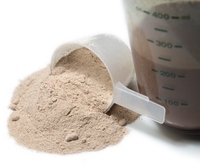 “Once reserved for athletes and heavily dominated by whey protein, the protein market across applications including protein powder, ready-to-drink (RTD) and bars is continually evolving. Nutrition & Performance products are now readily available and marketed to people with active lifestyles, and we are seeing activity in plant protein. We wanted to better understand habits and usage among the general population in this market,” states Catherine Armstrong, Vice President of Corporate Communications for Comax Flavors. “Taste” is the number one driver of nutrition & performance purchases among all generations with (47 percent) of respondents citing it as the most important attribute. “Flavor” is the second most important attribute driver of nutrition & performance purchases with more than a third (35 percent) of respondents citing it. “Chocolate” and “Vanilla” flavors are top performers among all respondents who consume nutrition & performance products. 37 percent find “formula content” an important attribute in purchase intent. About a quarter (26 percent) of respondents consume “Berry” flavors while 21 percent consume “Tropical” flavors. “Apple,” “Coffee” and “Peanut Butter” flavors are equally consumed (19 percent) by respondents. More than a quarter (29 percent) of respondents drink “Berry” flavors, which is most popular among the Silent Generation (38 percent), Gen X (35 percent) and Gen Y (30 percent). More than a quarter (28 percent) consume “Coffee” and “Tropical” flavors. Shy of a quarter (22 percent) of respondents drink “Citrus” flavors; Gen Y (31 percent) and Gen X (27 percent) are the heaviest users. More than half (54 percent) of respondents consume “Peanut Butter” flavors; the Silent Generation (71 percent) are the heaviest consumer compared to Gen Y (38 percent). Shy of a third (32 percent) of respondents consume “Indulgent” flavors. More than a quarter of respondents consume “Apple Pie” (29 percent), Berry (27 percent) and Coconut (27 percent) flavors. 8 percent of respondents eat “Savory” bars. The Nutrition & Performance study was conducted in May 2017 with 1,000 US respondents aged 18-70+; half were female, and the other half were male. In this study, Gen Z is defined as those born 1996 and later; Gen Y born 1977 to 1995; Gen X born 1965 to 1976; Baby Boomers born 1946 to 1964; Silent Generation born 1925 to 1945.